Donkey Kong's smash hit return to platforming is being rebuilt from the ground up and optimized for portable play on the Nintendo 3DS system. 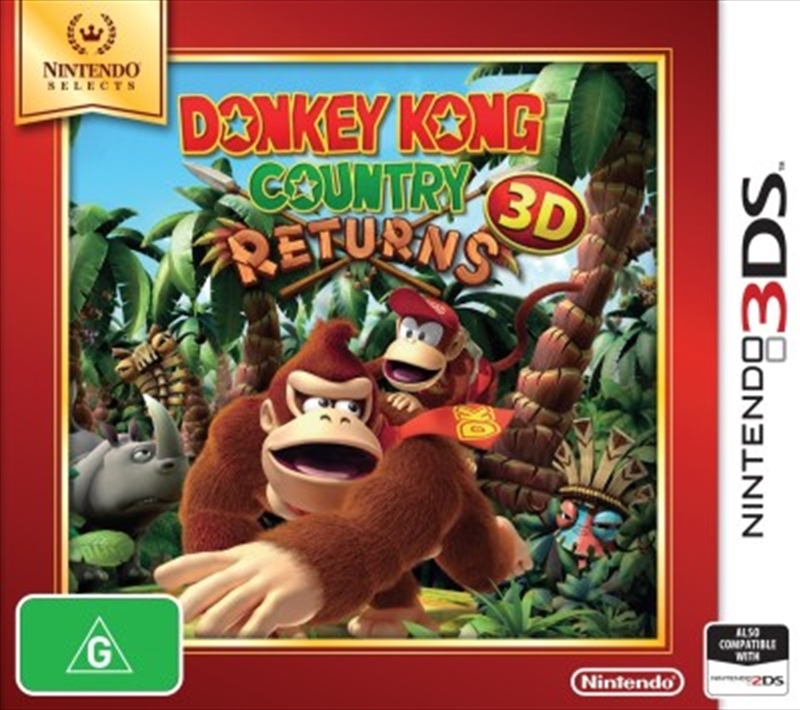 Donkey Kong Country Returns 3D will launch in summer of 2013 with all of the ground pounding, barrel rolling, plat forming action of the original brought to life with stunning 3D visuals. Over 70 levels of banana hoarding fun featuring Donkey Kong and Diddy Kong. Run, jump, climb and defeat enemies through diverse environments until you retrieve Donkey Kong's stolen banana hoard. Lush, layered side scrolling levels come to life in stunning 3D. Rebuilt and optimized for portable play on the Nintendo 3DS system. More details to come. Use Parental Controls to restrict 3D mode for children 6 and under.